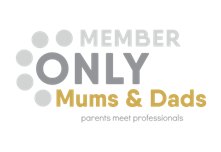 Have you or a loved one suffered an avoidable loss, physical or psychological injury or a hospital acquired infection as a result of hospital negligence from a doctor or other NHS medical professional? 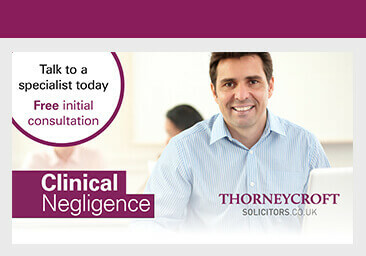 The Thorneycroft Solicitors team of hospital negligence claim solicitors is one of the largest in the UK. Regarded as leaders in our field, we provide the highest levels of care and assistance during your hospital negligence claim. We have an excellent track record for settling hospital negligence and infection claims. Our annual awards of damages for last year exceeded £14,000,000, with awards ranging from lower value, minor injury claims of £750, up to complex catastrophic injury claims to the value of £1,300,000. If you are considering making a claim for NHS medical negligence compensation, then our hospital negligence solicitors can assist you in making a no win – no fee claim for the compensation that you deserve. As members of the Association of Personal Injury Lawyers, we ensure that claimants receive the maximum level of hospital negligence compensation that they are entitled to. In general, hospitals are clean and are managed to high standards to avoid further injury or infections to staff and patients. However, sometimes these standards are compromised and patients can receive medical injuries from medical negligence and malpractice that are not their fault. These medical errors can range from minor mistakes to major catastrophic errors resulting in injury, sickness and sometimes fatal consequences. When it comes to making a hospital claim, our specialist solicitors understand that you or a loved one can be overwhelmed by the situation. At Thorneycroft Solicitors we specialise in helping families to understand the hospital claims process and advise on the compensation that may be awarded. If you, or a loved one, have been treated in an NHS hospital or private hospital, our specialist team of hospital claims solicitors will identify exactly who was responsible. During this process we will investigate the doctors, nurses and technicians involved in your treatment and identify where the responsibility lies for the medical or surgical errors suffered and, if there is evidence of negligence, make an appropriate hospital negligence claim. Thorneycroft Solicitors have acted on behalf of many clients across Macclesfield, Cheshire and Manchester. No matter how minor or major your hospital claim, our goal is to offer a service that delivers results. If you believe you have suffered an injury or acquired an infection due to hospital negligence then you could be entitled to a substantial compensation pay out.